Drag the mouse around to highlight the area of the page you want to capture, then click. You can then fine-tune the area with the resize handles, and click the Add button in the top right (or simply press Return) to create the widget. Now, whenever you switch to your Dashboard, you’ll see that area of your chosen Web page right there in the widget. If and when the Web page is updated, the widget updates too. This makes Web Clip very useful for any Web page content that gets updated frequently, such as news and sports results pages. You can go back and edit a Web Clip widget. Click the little ‘i’ button in the bottom right corner of the widget to flip it round, then click Edit. 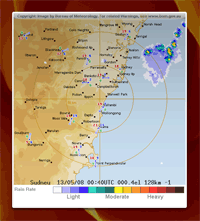 The widget flips round again, and you can click and drag with the mouse to reposition the Web page within the widget. You can also resize the widget at the same time. Nice. The widget reloads its “page” every time you enter the Dashboard, but you can also reload it at any time by clicking it and hitting Command-R. If the page you’re clipping is text-heavy, and you want to make your widget as small as possible, first use Command and – (minus) to make the text smaller in Safari, then clip the page. The widget remembers your selected text size. You can then revert to your normal text size in Safari. Does Adobe hate the Mac? I’ve been pondering this question for a while now. I think that the folks at Adobe probably don’t hate the Mac, but they do seem to have a preference for Windows. Here’s why. Non-standard shortcut to bring up the Preferences pane (Command-K, not the standard Command-,). Just because Windows users have to suffer from the lack of a consistent Preferences shortcut, why should Mac users have to do the same? Non-standard shortcut to hide Photoshop (Command-Control-H, not the standard Command-H – fair enough in a way, as Command-H is used to hide stuff within Photoshop). Non-standard shortcut to switch between document windows – i.e. Control-Tab, not the standard (and much less finger-twisting) Command-`. This one really bugs me. The odd shortcut that only works in Windows (I’m thinking of Alt+I, then hold Alt and press D to instantly duplicate an image – a quirk that relies on Windows’ keyboard shortcuts for menus). I admit it: With my hunt for nice widescreen wallpapers, and my reviews of DeskLickr and Desktoptopia, I’ve gone wallpaper-mad over the past month. I now have a collection of over 100 gorgeous desktop images, with new ones coming in all the time. Somehow, though, having these beautiful images lurking behind my Mac windows – occasionally revealed with Exposé via the F11 key – doesn’t do them justice. So how to make my wallpaper more front-and-centre? Ideally I’d like some sort of utility that faded my windows away when I’m not really using my Mac, revealing the wallpaper behind. Then I was hit by an attack of the blindingly obvious: Use a screen saver! And that’s it! I set the screen saver delay to 5 minutes, and now I get to see my lovely wallpaper images in all their glory whenever I come back to my Mac. And because the images are already designed to look great on the desktop, they make for a fantastic screen saver. Simple but effective. I recently reviewed DeskLickr, a nifty, free menu bar app that regularly feeds your Mac desktop with lovely Flickr images. It’s nice enough, but it does have a few drawbacks, as I mentioned in the review. 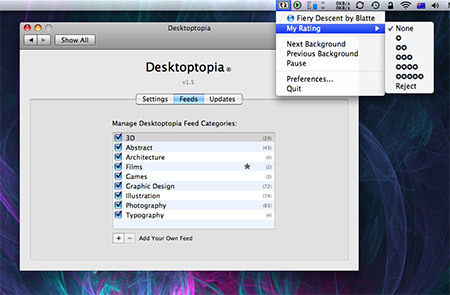 There’s an alternative to DeskLickr, though, and it’s also free: Desktoptopia. 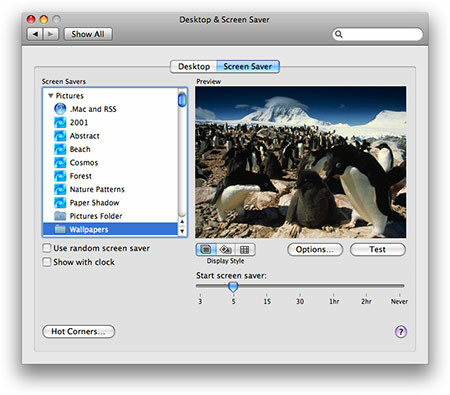 It does a similar job to DeskLickr, downloading new desktop images every few minutes. It installs itself as a preference pane rather than DeskLickr’s approach of a stand-alone app. Personally I like the preference pane idea more. As with DeskLickr, you can set how often it grabs a new image, and also pause the current desktop image or manually fetch a new image. Desktoptopia’s key difference is in how the desktop images are sourced. Whereas DeskLickr draws its images from public Flickr photostreams, Desktoptopia’s images come from a hand-picked selection on the Desktoptopia website. Users can upload new images, but only the best make it past the selection process. This gets round DeskLickr’s problem of displaying low-quality images, or images that just don’t work well as wallpaper. The quality of the Desktoptopia images is very good indeed, and they nearly all make fantastic desktop backgrounds. Who will buy OS X ‘Snow Leopard’? Reducing the OS’s footprint (i.e. the hard drive space it takes up). This has caused a bit of controversy as many think this means dropping support for PowerPC Macs, but this remains to be seen. Maybe they’ll ship 2 versions: one for Intel, one for PowerPC? 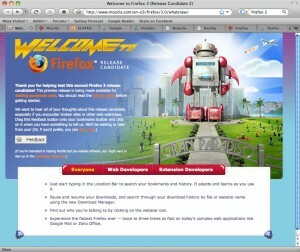 The latest major version of the Firefox web browser – 3.0 – is due out any day now. I thought I’d download 3.0 Release Candidate 2 – which is near as dammit to the final release – and take it for a spin. 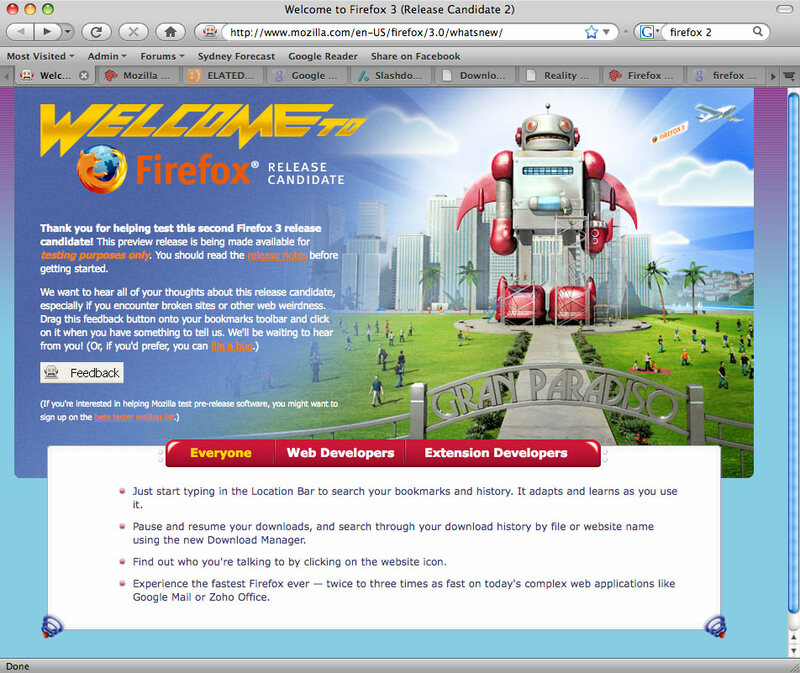 I must say, I assumed Firefox 3 was going to be much like Firefox 2, with a few tweaks here and there. Nothing could be further from the truth. With version 3, Firefox has had a major overhaul, both on the inside and on the outside. Let’s take a look. This is a lovely idea. 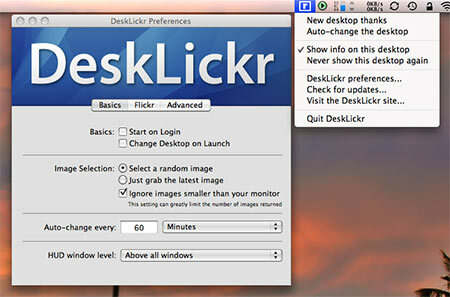 DeskLickr is a free menu bar app that regularly updates your desktop with photos from Flickr. If you’re bored with the same old wallpaper images, it’s a great way to revitalize your Mac desktop. Feature-wise, the author’s thought of pretty much everything. You can, of course, say how often you want the image to change, and you can also choose New desktop thanks from the menu bar if you don’t like the current image. A grey floating window shows you info on the current desktop image; if this annoys you (it did annoy me) you can choose to have it hideable under other app windows, or stick it right on the desktop. You can also turn it off altogether using the Show info on this desktop menu option. 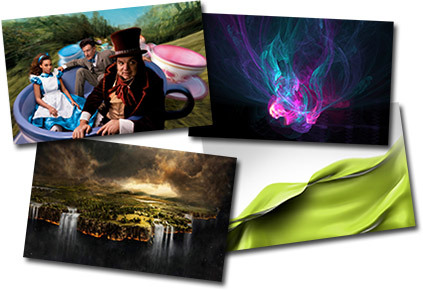 It even supports multiple displays (you can choose between having the same image on all displays or a different image on each), and you can make it choose a random image each time, or get the latest published image. Everyone loves a nice screen saver – they give you something to stare at when you’re bored, and an eye-popping screen saver is a great way to impress your friends and colleagues when they amble past your Mac! Here, in no particular order, are 10 free Mac screen savers that I love. Installation hints are at the end, if you need them. One of my favourite screen savers, written by the very talented Terry Welsh over at Really Slick Screensavers. Take a trip down a wormhole with this psychedelic extravaganza, reminiscent of many a game and sci-fi movie. 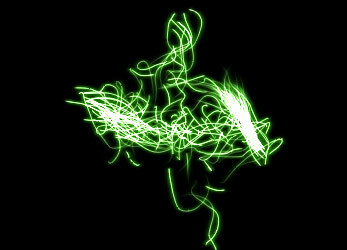 This one’s pretty CPU-hungry, so if it’s a bit jerky try reducing the Resolution of geometry setting. A lovely screen saver from Martin Thorne. 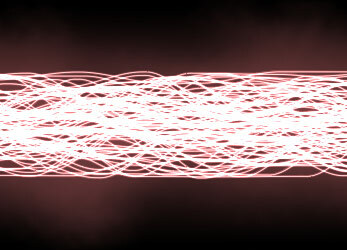 Beautiful, ever-changing strands of light move across the screen. Strangely hypnotic in a darkened room! 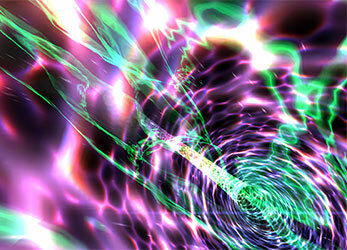 You are currently browsing the Reality Distortion: Macs, Mac OS X, and Apple stuff weblog archives for June, 2008.